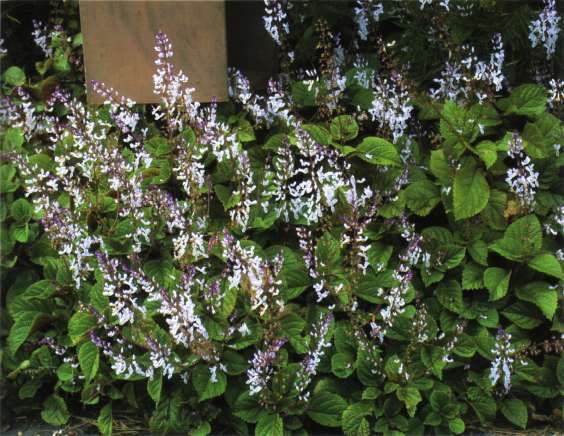 Trailing or straggling herb or shrub, with shining leaves, purple underneath. Flowers white, with purple dots inside the lower lip. Spreads vegetatively by runners. Commonly grown in houses and gardens. Flowers Inflorescence raceme-like, up to 30 cm long, sometimes with short branches near the base. Corolla tube white, about 1 cm long, with two-lobed upper lip and purple dots inside the lower lip. Flowers Dec-Aug.
Fruit Dark brown nutlets about 1.5 mm in diameter. Leaves In opposite pairs, shining, purple underneath, dotted with glands, hairy especially on veins, 5-12 cm long by 3.5-7 cm wide. Leaf stalks 20-35 mm long. Stems Trailing or straggling, covered in purple hairs. Roots Spreads vegetatively by runners. Shady areas in and around forest margins, plantations and hedges. Locally abundant in NI. In SI, only found around Karamea (Buller). Originally from eastern South Africa. Originally introduced as a trailing pot plant, and still widely grown in gardens and houses. Listed on the National Pest Plant Accord (see Introduction for details). A close relative of plectranthus, Plectranthus ecklonii (blue spur flower), is widely grown in NZ, but is rarely found growing wild. 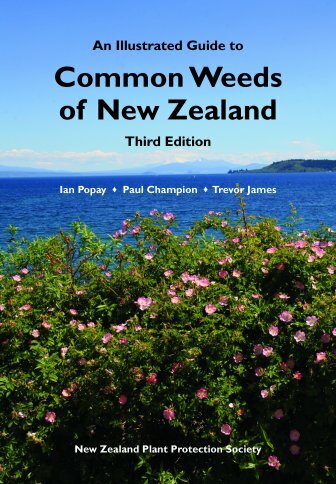 It is also subject to Pest Plant Management Strategies in several regions of NZ. Details are available from individual regional councils or unitary authorities. Wood sage (Teucrium scorodonia) is another hairy, rhizomatous labiate found on forest margins, scrub and plantations, lacking purple-coloured foliage, flowers green with purple stamens on a terminal spike, scattered throughout, only common in northern SI. Plectranthus (Gk.) = spurred flower; ciliatus (Lat.) = hairy.